Director General of the National Youth Service Corps (NYSC), Major General Suleiman Kazaure, yesterday met with authority of the Kaduna State Police Command, over corps members’ security and welfare before, during and after the forthcoming elections in Kaduna State. Kaduna is one of the States in Nigeria known for electoral violence, hence, the need for the number one corps member, to synergise with stakeholders as thousands of the members of NYSC are getting ready to serve as ad-hoc staff in the state and the need to guarantee their safety wherever they may be posted. Briefing the Commissioner of Police, Ahmad Abdulrahaman in his office in Kaduna, NYSC boss said, as national assets, corps members deserve maximum protection at any point in time where Police have a critical role to play as custodian of internal security. He said, “we are here, as we all aware that the 2019 elections are around the corner and corps members are going to be involved. Responding, Commissioner of Police, Ahmad Abdulrahaman, asured the scheme of his Command’s readiness to go extra mile to protect the corps members participating in the elections. “This Command is very glad to recieve the personality of the DG of NYSC. Since my six years of staying at the command, having served in different capacity within and outside the command, we have not receive this August visitor even though we share responsibility in national service. 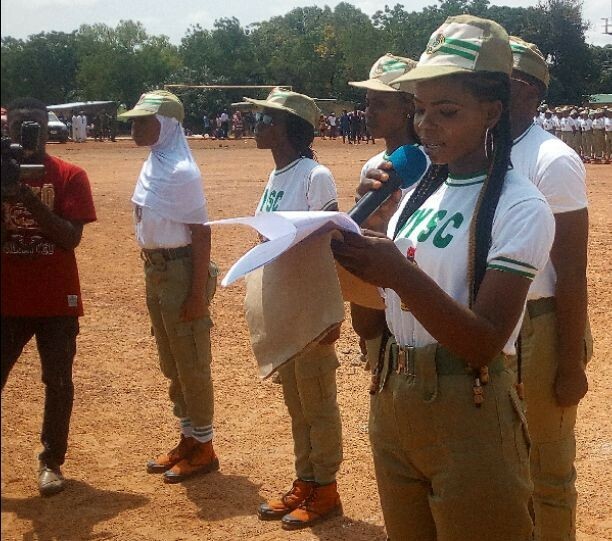 “As the DG rightly pointed out with regard to commands’ support, I want to add that corps members are not just national assets, but the future of the country. We need to protect them because tomorrow, they will be in position of President, IGP, DG, CP and all that and in order to get there, they need our support now. “I promised you that, we are going to give them close marking in terms of protection during these elections. “We are very close to the office of the scheme in the state. Apart from the official attachment, there is also personal relationship with NYSC. “So, I want to assure the synergy has been great. And with your coming, we are going to give them more coverage this time, God helping us”, he assured.